Contract Cleaning Services in London | As cleaning is a physical activity, it is important to think of how you move your body and the ergonomics of your location. The reason because of this is that late can be too late and cause damage to joints and limbs can have significant effects later in life. Therefore, we at Purgo Supply Service advocate when undertaking physical work to move sensibly and smartly; so that you can avoid problems with your body, at the same time as making your job easier every day. 1: Bend Your Legs, Not Your Back! 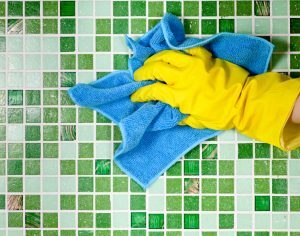 This is one of the most common mistakes that you can make when cleaning. Instead of bending forward, keep your head and back straight, use your muscles to raise and lower your work position. 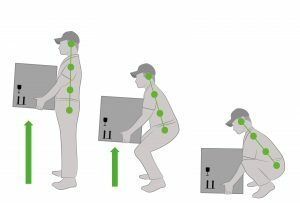 Also, think about this when doing a lift, lifting from your legs and not your back. 2: Work Close To The Body! Do not stretch your body to reach an individual surface or item; rather, move your entire body and use the equipment as close to the body as you can. The load on the body increases exponentially when moving tools and instruments farther from the body. 3: Use The Correct Tool On The Right Surface! There are many different types of materials to clean, and each material has different ways of achieving it. Remember to use the correct method in the right place, it reduces body strain and improves results. For example, use gloves when working with damp products, even plain water can damage the skin in the long-term. Use the right protection for the task to minimise the risk of harm. Cleaning is physically demanding, and the best method of preventing the potential for bodily injury is exercise and stretching. If you have been working professionally for a full day, you can be exhausted; therefore, take the time to stretch your body and muscles to avoid future problems. Issues with Dishwashers? The Colour Can Reveal Why. 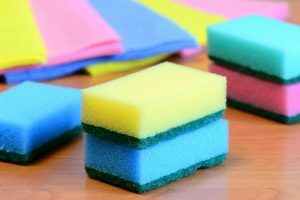 Contract Cleaning Services in London | Sponges come in different colours, but few know the meaning behind the colours. For example, have you ever used a green sponge and rubbed on a stainless steel surface or oiled wooden benches just to find out that the surface became dirty after the surface dried? It may well be that you used an aggressive disk sponge for the surface and purpose. Sponges are sold in different colours for various reasons. The sponges usually have two sides; being thick and soft and a little thinner with harder. It is the thin, slightly harder part of the disc sponge we are talking about in this article. 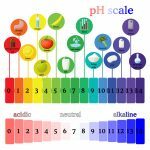 Do you know what the different colours mean? The different colours will help you choose the right sponge for the right task. They are different, and it is important to keep an eye on what colour you want when trying to remove a stubborn spot for example. Below we list the most common discs, white, green and the new blue. We recommend the white foam sponge for bathrooms, tiles, bathtubs and crockery. This is a mild disk sponge that does not damage surfaces so easily, but it still has some clogs and can be used with care on most hard surfaces. The green disc is recommended for tough jobs and hardened surfaces such as tools, grills or other harsh surfaces; this sponge is used too often as an all-around sponge for a little bit of everything, but it’s an aggressive disk sponge that can easily even scratch a hard surface. It is much more aggressive than the white and is recommended to be used only for tough materials where it does not risk scratching the surface. The green often contains minerals to make it more aggressive. Avoid sensitive surfaces such as stainless steel, wooden benches, frying pans or bathtubs. The new, non-repellent (wet) blue 3M disk sponge is recommended to be used in the kitchen, on hobs, sinks, ovens and more, but also the entire bathroom. The non-repellent (wet) blue 3M disk sponge is relatively new and builds on an entirely synthetic structure without mineral substances. The 3M blue disc sponge combines the roughness of the green with the gentleness of the white without scratching the material if used correctly. However, we recommend that you take care of sensitive materials such as oiled wooden benches and always use the 3M wet blue foam. Avoid oiled wood surfaces and susceptible materials. What dish washing method should I use? It depends entirely on what to do, what material to use it on and what you are trying to achieve for results. We always advocate using as gentle methods as possible to get the job done. With the above facts, we recommend that if you use a dishwasher for cleaning, start with the thick, soft side, then the thinner, harder white sponge and then take it blue. If these do not work, try different methods such as other cleaning agents or let the agent last longer before using the disc. We provide Contract Cleaning Services in London for a range of clients. As a result, we understand from the first-hand experience that a cleaning package must meet the diverse styles and needs of our client’s premises. Therefore, using a preferred supplier Purgo can service your washrooms to the required standard by providing an extensive range of washroom and hygiene products. 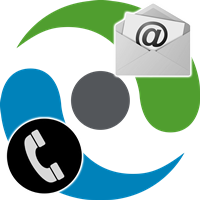 Purgo Supply Services employs a dedicated team of office based Customer Services personnel. This team can provide in-depth information on our office cleaning in London services and procedures. In addition to this, the team operates by following a quick response police as we wish to keep our clients as informed as possible at all times.